The mainstream luxury clothing brand Banana Republic is a favorite of stylish shoppers far and wide. Focused on bringing customers contemporary yet classic wardrobe pieces, the brand prides itself on its detailed craftsmanship and versatility. So what about the Banana Republic credit cards? Can they help you save big on your most fashionable finds? In this review, we’re outlining the differences between the Banana Republic credit cards, the rewards program, the fees and drawbacks of the cards, how to manage your account, and much more. All 4 cards listed above are rewards-based co-branded credit cards offered by Gap Inc. (for Banana Republic) and issued by Synchrony Bank. These 2 cards are the base level credit cards for Banana Republic. Of the 4, this is the most basic Banana Republic Card offered. Most simple store-branded credit cards can only be utilized at the store that issues the card. However, in this case, Banana Republic is a part of the Gap family, so this card can also be utilized at their associated store brands (Gap, Old Navy, Banana Republic, and Athleta). 🎁 Cardholders also receive a “Birthday Gift” if they have made 1 purchase with their Banana Republic within the last 12 months. *The terms and conditions state that this 20% offer is valid for those that are approved for the Banana Republic Card online. 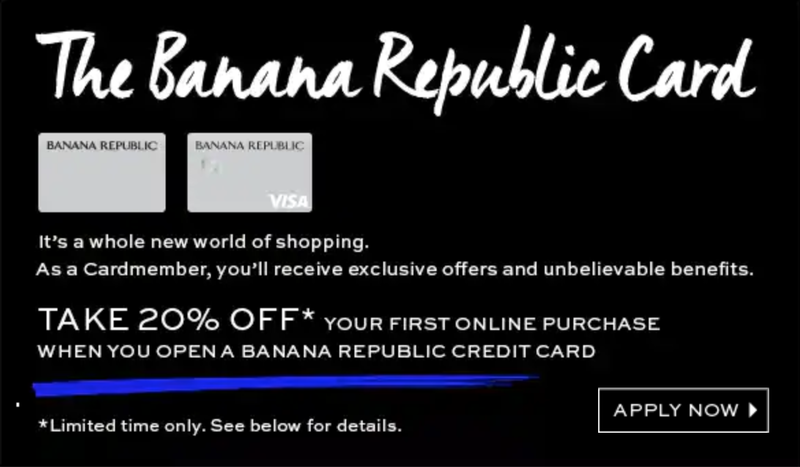 The 20% discount will be applied at checkout to the first single-receipt qualifying purchase made at BananaRepublic.com, and the transaction must be completed with your new Banana Republic card. The Banana Republic Visa® is a step up from the basic credit card. Its Visa® distinction means this card can be used anywhere Visa is accepted. **The fine print states that new Visa cardholders will receive 3,000 bonus rewards points if they make a qualifying purchase outside the Gap family of brands. The terms do not clearly specify what this “qualifying purchase” is. We assume it’s similar to a standard “sign-up bonus” for other popular rewards cards, where cardholders are required to meet a certain minimum spend within the promotional period, thus achieving this one-time bonus. We have not applied for a Banana Republic card ourselves, so we are not 100% positive on this…but we can assume cardholders would likely receive a notification about specifics of this bonus offer upon approval. These 2 credit cards are Banana Republic’s “status” or elite spending cards. Shoppers cannot apply for either of these cards outright — Banana Republic Luxe status can only be achieved by those individuals who already hold a current Banana Republic Card or Banana Republic Visa. Terms and conditions state that a cardholder’s upgrade to Luxe status will be processed within 90-120 days after the customer qualifies. Hot Tip: Note that Banana Republic Luxe cardholders must re-qualify each calendar year to achieve their Luxe status — it does not carry over. All basic Luxe cardholders receive added perks (on top of those mentioned above for basic cardholders). 🎁 Cardholders also receive a “Birthday Gift” if they have made 1 purchase with their card within the last 12 months. As with the basic Banana Republic card, the Banana Republic Luxe Card can only be utilized at Banana Republic and the Gap family of stores (Gap, Old Navy, Banana Republic, and Athleta). Hot Tip: Free shipping on online orders does not automatically apply; Luxe cardholders must enter the code LUXE at checkout. The Luxe Visa card is the upgraded version of the Banana Republic Visa® and the most rewarding card offered in this lineup. Again, due to it’s Visa distinction, this card can be used anywhere Visa is accepted. 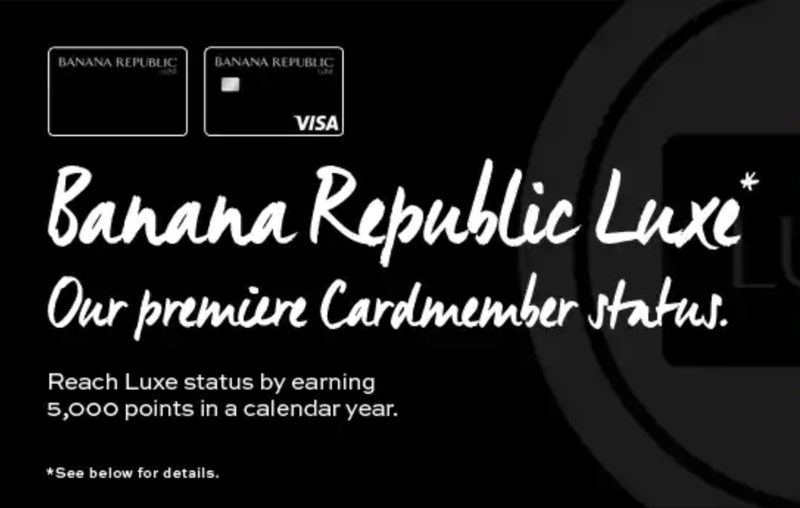 **To become a Banana Republic Luxe Visa cardholder, you would have initially been a Banana Republic Visa cardholder who was upgraded due to elite points earning. Therefore, it’s probable that you would have received this particular new Visa cardmember offer upon initial approval for your card. Terms and conditions state each account is only eligible for 1 new cardmember offer, so it’s extremely unlikely you would be given the opportunity for this bonus again. In general, the rewards program utilized by Banana Republic is pretty simple. Actually, it’s the same rewards program that’s used across all Gap Inc. brands. Regardless of which of the 4 Banana Republic cards you are using, the basic earnings strategy is the same. Cardholders earn 5 points for every $1 spent across the Gap brands. These points are earned on purchases made in-store, online, or by phone. As mentioned previously, if you’re a Banana Republic Visa® or Banana Republic Luxe Visa® cardholder, you’ll also earn 1 point per dollar spent on all other purchases (anywhere Visa is accepted). Hot Tip: Banana Republic cardholders can utilize their mobile wallet (Apple Pay, Samsung Pay, Google Pay) to make in-store purchases and earn rewards. For every 500 points a cardholder earns, a $5 reward is issued. 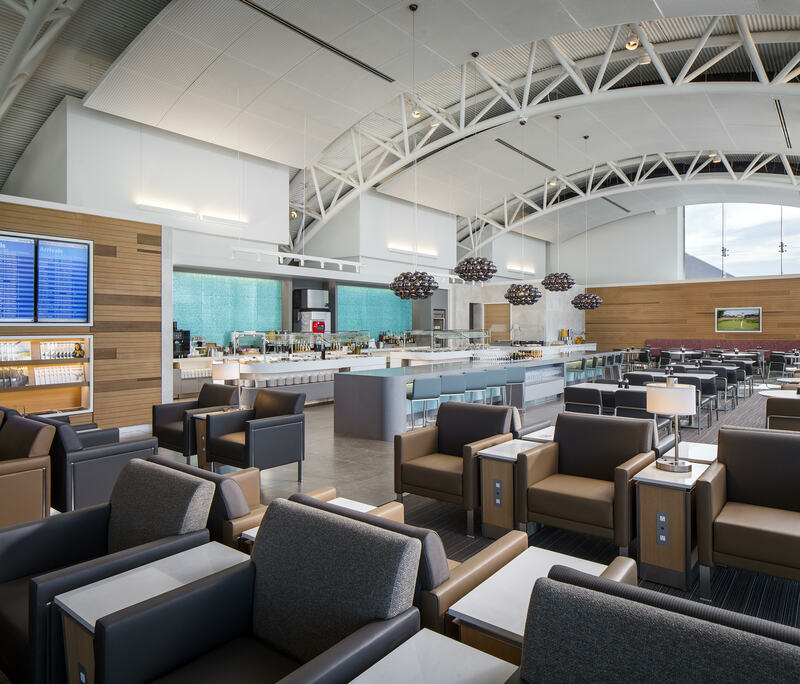 Technically, there is no limit to the number of points a rewards member can earn. However, the fine print of the program does state that the maximum amount that will be awarded in any one billing cycle is $250. Additional terms state that any number of points less than those required for the lowest reward denomination (i.e. <500) will be carried over and applied toward the rewards for the next billing cycle. Hot Tip: Remember, all of these stores in the Gap family utilize the same rewards program, and rewards can be earned/spent interchangeably. Each reward that is issued to your account will have a clear expiration date. You must make your purchase within the valid window in order to apply your rewards. Once expired, rewards will under no circumstances be reissued. Rewards members are allowed to redeem up to 3 rewards in a single transaction if they are purchasing items in store. However, this is upped to 5 rewards in a single transaction if shopping online or making a purchase over the phone. Shoppers are allowed to stack their rewards on top of 1 other promotional offer, AND rewards can be applied toward sale items at any store location. The residual cash amount owed on your purchase after redeeming the rewards certificates MUST be paid with a Gap Inc. credit card. Rewards may only be utilized by the rewards member who earned them — you may not gift your rewards to another shopper. We present additional information on viewing/managing your rewards account in the Login & Online (Or App-Based) Account Management section below. No credit card comes without fees and drawbacks to be aware of. With the Banana Republic Cards, these can be pretty intense if you’re not careful. While there is no annual fee — which is a plus — there are certainly some other hefty fees in that table. So how do you go about avoiding them? This is no secret: be a responsible cardholder. What does that mean? It means paying off your statement in full and on time, each and every month. If for some reason you cannot pay the full amount, you should attempt to pay as much as you possibly can and again, do so on time. At the very least, you should make the minimum payment. You do NOT want a considerable balance to carry forward on your account. Acting as a responsible cardholder will result in keeping extra fees and penalties to a minimum. There are a few important drawbacks to consider outside of fees and penalties. The Banana Republic & Banana Republic Luxe cards (the basic credit cards) can only be utilized at BR and across the Gap family of stores. Accordingly, you can only earn points at these stores, and the rewards you earn can only be redeemed at these stores. If you’re an avid Banana Republic shopper then this likely isn’t a big drawback to you. However, if you’re looking for a more diverse way to shop, earn points, and utilize rewards, then this could put you in a bind. While these cards may often offer bonus point shopping days at the Gap brand stores, you won’t ever earn rewards in categories like dining, travel, gas, etc. (where many people spend a large chunk of their hard-earned income). If you’re looking to add a Banana Republic card to an arsenal of credit cards you’re already utilizing for maximizing your everyday spending, then more power to you. But if you’re only looking for a simple go-to credit card to earn the most bang for your buck, you should consider the alternative cards listed below. Earning cash-back is one of the main reasons that someone would sign up for a Banana Republic credit card, but we’d recommend looking at other cash-back cards instead that are — in our opinion, more rewarding. An excellent cash-back card is the Chase Freedom Unlimited®, which earns 1.5% cash-back across all purchases after earning 3% cash back up to $20,000 spent in your first year. Put another way: you’d need to spend a whopping $3,000 at Banana Republic to earn enough points to match the sign up bonus you get with the Chase Freedom Unlimited® (15,000 points = $150)! This card also has a 0% intro APR for the first 15 months, which means you could transfer any existing balances that you have across other cards and potentially save a lot of money in interest payments. 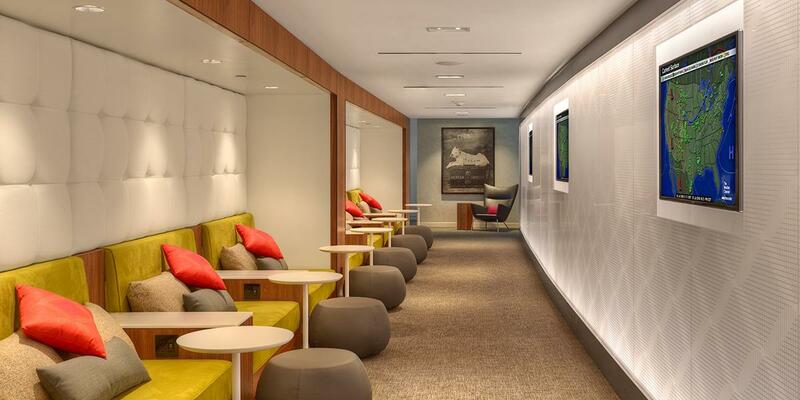 If you combine the Chase Freedom Unlimited® with a card like the Chase Sapphire Preferred® Card, you could even convert that cash-back into Chase Ultimate Rewards, and then use those points for maximum value on flights and hotels. Hot Tip: There is only ONE application for the Banana Republic credit cards. When you apply, you are first considered for the Banana Republic Visa; if you do not meet those requirements for approval you are then considered for the Banana Republic basic credit card. Neither Synchrony Bank nor Gap Inc. publicly lists the minimum credit score needed for approval on their cards. However, most credit card review sites generally agree that individuals with a fair credit score are likely to be approved for the basic card, while individuals with a good credit score are likely to be approved for the Visa version. Remember, the “Luxe” cards cannot be applied for directly — these are only issued to current basic cardholders who reach the elite spending bracket of 5,000+ points in a calendar year. Synchrony Bank provides a dedicated platform for Banana Republic cardholders to manage their account online. If this is your first time utilizing the platform, you’ll need to register your card to create an account. If you’ve already registered, you simply log in with your username and password. Hot Tip: Banana Republic cardholders cannot pay their bill in-store. The options for payment are either online (or via the app), by phone, or by mail. 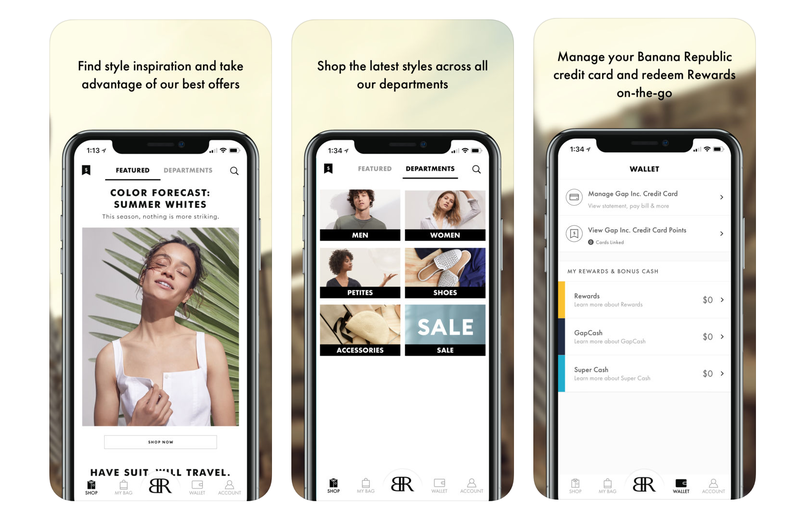 As an alternative option to desktop online management, Banana Republic offers a mobile app (Apple) with a tab/platform for account management. The app actually has pretty great ratings in the iTunes app store: 4.8 stars from over 15.8K ratings. 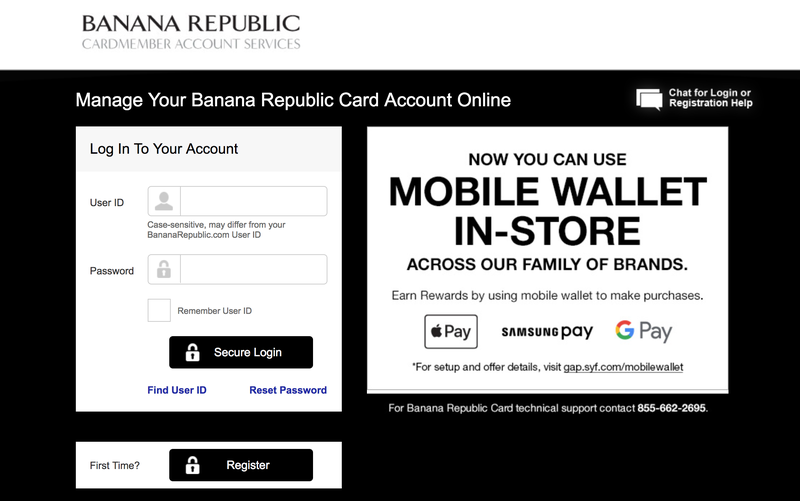 Unfortunately, at this time the Android app does not appear to offer users the option to manage their Banana Republic card. If you’re a devoted Banana Republic (or Gap brand) shopper, then you’re likely to appreciate these particular credit cards. This is especially true if you achieve the coveted Banana Republic Luxe status and are awarded the added perks that come with it. When it comes to fees and penalties, they’re pretty harsh…so be sure you’re acting as a responsible cardholder to minimize them. Remember, if you don’t qualify for the Visa version of the card, you won’t be able to use them anywhere but Banana Republic and the other Gap brand stores (Gap, Old Navy, and Athleta). Similarly, no matter which card you use to earn points (Basic, Visa, Luxe, or Luxe Visa), your rewards will only come in the form of certificates to be redeemed at Banana and the Gap Family of stores. If you’re looking for 1 simple credit card to maximize your spending/rewards, a credit card that’s more flexible with its earning/redemption options, or a credit card that will earn you rewards related to travel, then this isn’t the card for you. If you already use a collection of cards to maximize your everyday spending, and a majority of your clothing related expenses are spread across the Gap family of stores, then a Banana Republic card could be worth adding to your arsenal. Is the Banana Republic credit card worth it? That depends on your spending habits. If you spend a generous amount of money on clothing, specifically at Banana Republic and the Gap Family of brands (Gap, Banana Republic, Old Navy, & Athleta), then yes – the Banana Republic credit card is likely worth it. This is especially true if you earn the Banana Republic Luxe status that affords you even more bonus points and discounts. Does the Banana Republic credit card have an annual fee? No, none of the Banana Republic credit cards have an annual fee. Can I use my Banana Republic credit card anywhere? That depends on which Banana Republic card you have. 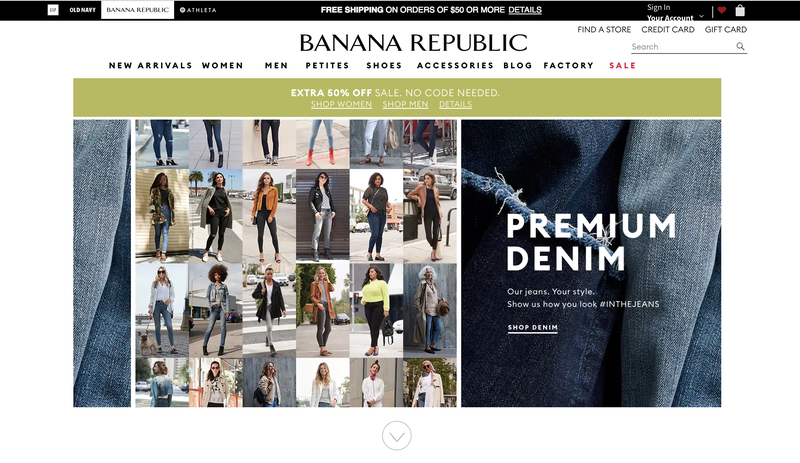 If you have a Banana Republic or Banana Republic Luxe credit card (basic) – you can only use it at Banana Republic and other Gap Family stores (Gap, Banana Republic, Old Navy, & Athleta). If you have the Banana Republic Visa or Banana Republic Luxe Visa, the cards can be utilized anywhere Visa is accepted. Basically, if the card has the Visa logo on the front, you’re good to spend almost anywhere. How does the Banana Republic credit card work? Basically, when you make purchases with your Banana Republic credit card you earn points towards their rewards program. Once you earn a certain number of points, you’re issued a reward certificate. You may use this rewards certificate for purchases at any of the Gap Family of brands (Gap, Banana Republic, Old Navy, and Athleta). Currently, 500 points earns you a $5 reward. All Banana Republic Cardholders earn 5 points/$1 spent across the Gap Family of brands, and Banana Republic Visa cardholders also earn 1 point/$1 on all other purchases. For additional information, refer to our in-depth explanation of Banana Republic’s rewards section above. Who issues the Banana Republic credit card? The Banana Republic credit card is issued by Synchrony Bank. This is in partnership with Gap INC, who also offer Gap and Old Navy credit cards that are also issued by Synchrony Bank. All of these cards can be utilized across the Gap Family of brands and work in pretty much the same way.